Last night I dined at Il Fornaio in Del Mar with some family friends. I'm not often up that way but was excited when I checked out the restaurant's website and saw an entire gluten free menu. It isn't often that I go out to Italian food but I was definitely in the mood for it after a tough few days of work outs. The restaurant is large and was a great option to be able to catch up with friends and not battle a loud atmosphere. The gluten free menu was impressively large and not limiting by any means. I ultimately chose the Caprese salad to begin and the Bolognese for my entrée. Our waiter warned us that the restaurant now serves its Caprese up warm but we instead opted for the traditional cold salad. When it was brought over to us the waiter lightly sprinkled on some balsamic vinegar to give the dish some added flavor, even though I'm not sure if it was needed. The Caprese was excellent and served with large, fresh tomatoes. The Bolognese was likewise excellent and served with gluten free fusili pasta. I ended the meal with two scoops of vanilla bean ice cream. Yes, I know I cheated from my clean eating diet, but you have to live every now and again, right? I would definitely visit Il Fornaio again. Between the inviting atmosphere and the enormous gluten free menu, this is a great find for gluten free eaters in San Diego. Do you love it or do you love it? Last night my friends Jessie, Stephen, Unwana and Nick invited me out to Stone Brewing World Bistro's awesome location at San Diego's Liberty Station. I absolutely love the space; it's enormous, has plenty of room for everybody, serves up some Bocce ball courts, and great outdoor fire pits. When we arrived I sidled up to the bar and asked about the place's ciders. Despite the fact that I haven't been drinking recently I decided to reward myself for a hard-fought set of sprints earlier in the day. 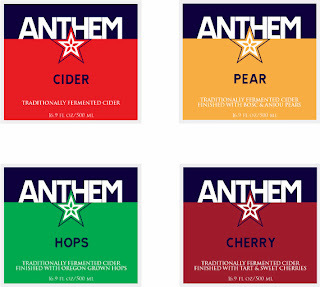 The bartender pointed me in the direction of Anthem, saying that it was the only one they served up. I took it, figuring since there was no other option I might as well give it a go. He brought me out a huge bottle, definitely at least two drinks worth, and I sipped it gingerly after seeing the bottled was marked "Gluten Free." The cider was great. I've become a huge fan of ciders, especially now that we are deep into autumn. Ciders remind me of apple picking, fall foliage, and the great fall scents that come with autumn in the northeast. 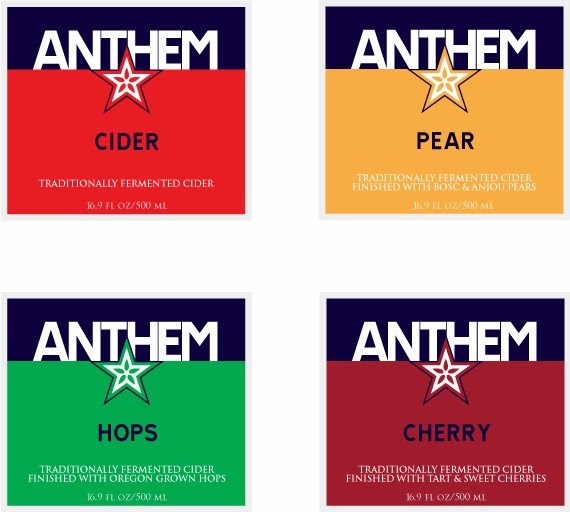 When I arrived home I looked into Anthem brands and, in a spot of great news, all Anthem Ciders are gluten free! I didn't check out the nutritional information (read: the calories) but I would definitely give the other flavors a try. It has been way too long since I blogged and for that I apologize - life has been busy! I'll try and get back to a regular pace and with some upcoming trips planned it shouldn't be a problem. Last weekend I spent a great Sunday with my friends Kalie and Kasey at San Diego's Liberty Station. It's an old Naval Training Center that is now a mixed-use property with lots of great restaurants like Tender Greens, Luna Grill, and this blog's featured restaurant, Fig Tree Café. 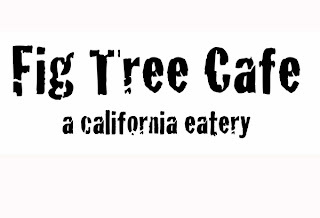 I have been to Fig Tree Café's location in San Diego's Hillcrest neighborhood but never to the Liberty Station location. It's nestled in Liberty Station off of the street so the patio is a great option. My biggest complaint about San Diego (and southern California in general) is that there aren't enough nice patios! New Yorkers know how to appreciate the warm weather with rooftops, patios, sidewalk cafés but that same vibe doesn't exist here in SoCal and it's a shame given our awesome weather. Regardless of the lack of people watching at Fig Tree the patio was still excellent. More importantly than the patio, of course, is the food. Fig Tree helpfully marks all of its food items "GF" if they can be made as such. It's a super helpful guide and the restaurant offers a lot of gluten free options including french toast! You can check out the Liberty Station location's menu here. I stuck with my tried-and-true order of Huevos Rancheros because I didn't want to risk ordering something I didn't like. I somewhat regretted my decision when I saw Kasey's (non-gluten free) french toast brought out because it looked awesome but I wasn't complaining about my Huevos Rancheros as they were delicious. The portions were enormous and definitely enough to fill me up for the rest of the day. 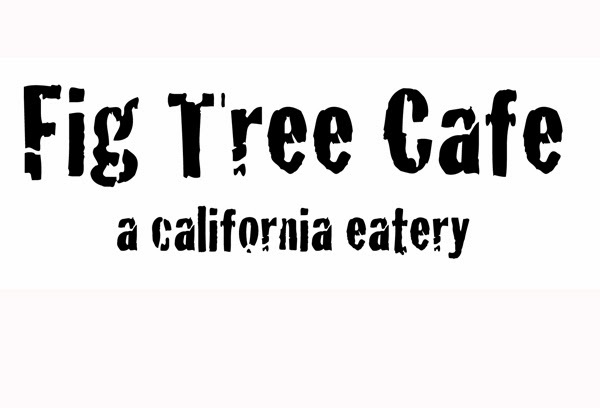 Fig Tree Eatery is a great San Diego staple with a huge menu and lots of great gluten free options. General Mills recently sent me some samples of Vanilla Chex to try out... and if you know me, you know I'm not one to say no to a giveaway. When I received the two boxes of Vanilla Chex I decided to make one of the included recipes for a party I was going to that weekend. 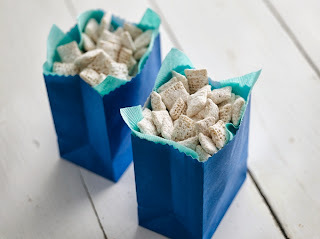 I'm very glad I did that, as the Vanilla Chex muddy buddies were an enormous hit! Before I get to the recipe, did you know that Chex offers tons of gluten free options? There are now gluten free Rice Chex, Vanilla Chex, Chocolate Chex, Cinnamon Chex, Corn Chex, Apple Cinnamon Chex and Honey Nut Chex. Pretty great, right? I haven't had the opportunity to try the Apple Cinnamon flavor out yet, but I can confidently say that the other flavors are delightful. I'm not generally a huge cereal person but when I do pick some up I'll include a box of Corn Chex in my selection. Anyway, I used the recipe General Mills provided me to make some muddy buddies for the party. 1. Into large bowl, measure cereal; set aside. 2. In 1-quart microwaveable bowl, microwave chips and butter uncovered on High 1 minute; stir and microwave about 30 seconds longer or until mixture can be stirred smooth. Stir in vanilla. Pour mixture over cereal, stirring until evenly coated. Pour into 2-gallon resealable food-storage plastic bag. 3. Add powdered sugar; seal bag. Shake until well-coated. Spread on waxed paper to cool. Store in airtight container in refrigerator. 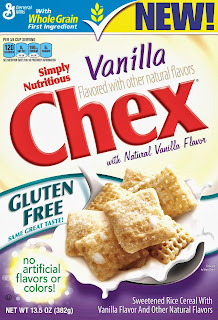 Fortunately I had enough left over to treat myself to a bowl of Vanilla Chex after and was so happy I had enough - I love this cereal! The flavor is great and has a scant 8 grams of sugar - relatively low when you consider that flavored greek yogurt can back up to 24 grams of sugar in one serving! My friends Kimberly and Annie are hosting a great gluten free event at the San Diego Womans Club right hin my neck of the woods in San Diego. 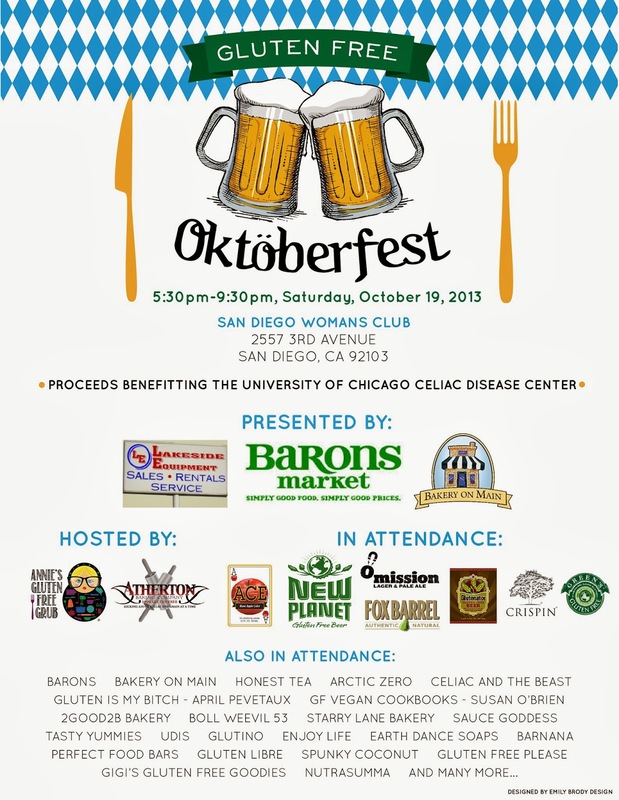 I'm super sad that I won't be able to attend but recommend any Celiac or casual gluten free eater go! 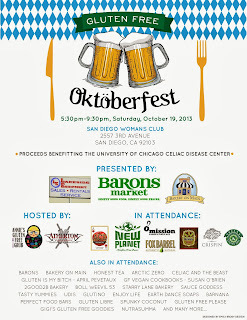 The event will be on Saturday, October 19th, from 5:30-9:30pm, as the flyer below indicates. Check out the flyer for all of the information. This will be an awesome event... Again, I'm super sad I can't make it! I recently visited Tender Greens with my friend Taylor. Taylor and I first met at Snooze, one of my favorite breakfast spots in San Diego. Ignore my earlier review from Snooze's Denver location, as the pancakes at Snooze are to die for. Anyway, we went out to dinner at Tender Greens, one of my favorite restaurants when I lived in West Hollywood. It's a fast casual salad shop with some sandwiches on the menu too; think of it as Panera but with a much more upscale feel to it. I spoke with the order taker (what else do you call the person who takes your order, right?) about my gluten free options and she suggested the Thai Shrimp which has little gem lettuce, green papaya, thai basil, citrus peanuts, coriander, chili lime vinaigrette. I was a little nervous about the order because she didn't seem 100% confident that the item was gluten free, so I asked her to double check. After she double checked with the manager I felt assured that the salad would be gluten free. As we walked down the line towards the cashier to make our payment and spotted some delicious-looking gluten free treats. They had both a gluten free chocolate chip peanut butter cookie and a flourless treat so obviously Taylor and I ordered both. The salad was delicious. I appreciate Tender Greens' salads because they don't go super heavy on the dressing and are just flavorful enough to taste good while still appearing to be healthy. Perhaps this is only an appearance and the salad actually had ten million calories, but if that's so it definitely fooled me. The chocolate chip peanut butter cookie was delicious. It had big chocolate chunks in it and halved peanuts so it had a very natural taste to it. The flourless treat on the left of the above photo was also great; very dense, but great. I would definitely choose the cookie over the flourless item, but that's just me. The Food and Drug Administration has finally announced requirements for foods labeled "gluten free." Products labeled "gluten free" must contain fewer than 20 parts per million of gluten. This federal standard also applies to foods labeled "without gluten," "free of gluten," and "no gluten." 20 parts per million ist he lowest level that can consistently be detected in foods using valid scientific analytical tools. Michael Taylor, the FDA's deputy commissioner for foods and veterinary medicine, said that this new rule will assure customers seeking gluten free products that ones labeled gluten free actually means gluten free. Manufacturers have one year from August 5, 2013 to comply. This is great news for all gluten free eaters, whether Celiac or not. For more information, check out the FDA's official announcement here. Last night my friend Ashley came down to visit me from Los Angeles. She comes down semi-frequently as she often has appointments in San Diego to work with accounts down here and it's always great to see her as we usually check out a new restaurant together. Last night was no exception, and we headed over to Kensington to check out Fish Public after she arrived. Unfortunately Fish Public was closed, but on the flip side The Haven was open right down the street and offers gluten free crusts on all of their pizzas. We had our pick of tables since we were eating a bit late at 9:15pm and sidled up to a booth. I wasn't super hungry but still decided to order a pizza; I figured I could always take some to go as leftovers and enjoy it over the next two days. I ordered the "Besto" Shrimp pizza on the gluten free crust. We also decided to split the brussel sprouts (holding the gorgonzola for me) and the caprese. You can check out the restaurant's full menu here. The brussel sprouts, sprinkled with chopped hazelnuts, were delicious. They were grilled to be crispy and tasted excellent in the rather large serving size they were presented in. The Caprese salad was just OK; nothing to write home about. The pizza had great flavor but the crust was fairly underwhelming. It was very thin, which is typical of a gluten free crust, but it also appeared to have been overcooked so it came out tasting very crunchy and cardboard-like. The "Besto" flavoring made up for the poor crust on the gluten free pizza, but I don't think I would order a pizza again from The Haven. All in all, I didn't love The Haven. It had a decent ambiance and fair prices, but the food was nothing spectacular. 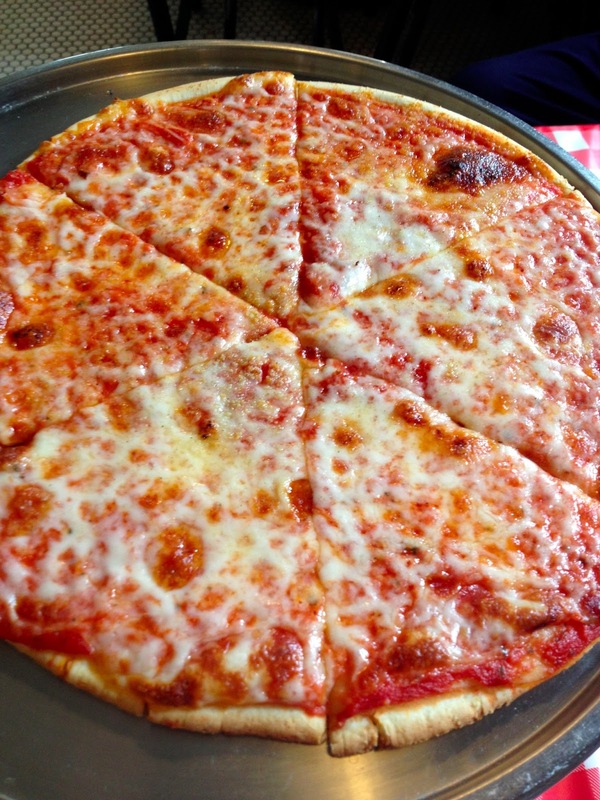 I was recently contacted by a representative of Mulberry Street Pizza in Beverly Hills. While I haven't yet visited the restaurant to check out the gluten free options but I thought I would pass along the information. The restaurant uses gluten free crusts from French Meadow Bakery which is sent in 2-3x per week. 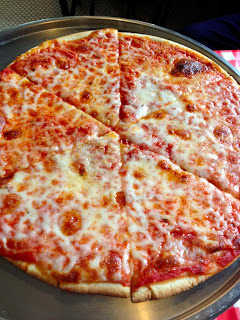 The gluten-free pizza is made in a gluten-free area at both locations which is designated with a "gluten free area" sign. Nothing containing gluten is made in this area. The restaurant's owners tested over 80 different gluten free doughs before settling on French Meadow Bakery's dough. The photos look great and are making me hungry even though I just ate dinner... I can't wait to visit! My roommate Joe and his girlfriend Allie recommended Rubicon Deli to me months ago and I finally made it over there this past week. I'm now kicking myself for it taking so long to make it that way, as Rubicon Deli is unbelievably awesome with great gluten free options. Be warned, however, that the Deli is not a gluten free facility so if you are very sensitive to cross contamination I would advise that you steer clear or be very specific with the staff as to how your food is prepared. When I went for my first visit to Rubicon I ordered the Umami burger. The flavors rocked my world; the portobello mushrooms were delicious, the caramelized onions, which I'm not usually a fan of, were terrific and the gluten free focaccia bread was out-of-this-world good. The bread isn't made in house, but that didn't bother me at all. Rubicon Deli also has gluten free cookies to top off your sandwich. I went back to Rubicon Deli today and enjoyed a Po' Boy sandwich with a cowboy salad as a "Double Down" special. While the sandwich and salad were both a great post-run lunch, I was annoyed when I arrived to the cash register that the "Double Down" isn't available for gluten free sandwiches. My meal ended up cost $19, which is way more expensive than I was expecting at Rubicon Deli. If they had warned me that the "double down" is unavailable for gluten free sandwiches, I wouldn't have doubled down. Now I know for the future, but the cashier's general unfriendliness when I questioned the different pricing without notice turned me off a bit. Regardless of his behavior I'll be going back and keeping in mind that the Double Down is not available for gluten free sandwiches. Udi's recently sent me a 4th of July package filled with hot dog and hamburger buns and an assortment of awesome gluten free cookies. I can't think of a better way to ring in the 4th of July with Udi's awesome gluten free hot dog and hamburger buns. I've had Udi's hamburger buns before but it's infrequent that I think ahead to purchase them. I've never had the Peanut Butter Coconut, Maple Pecan Chocolate Chip, and Salted Caramel cookies... and they are delicious. My favorite was the Salted Caramel with the Peanut Butter Coconut being a close second. I couldn't find these listed on Udi's website so perhaps they are a new product...regardless, they are delicious! I'll definitely be buying the Salted Caramel cookies again. 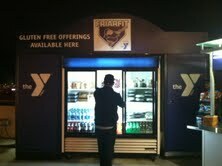 My brother recently set me this article courtesy of Be Well Philly which discusses the gluten free options at Citizens Bank Park in Philadelphia: http://blogs.phillymag.com/bewellphilly/2013/03/22/gluten-free-concessions-stand-citizens-bank-park/. From the article: "The GF goods on tap include hot dogs, pizza, cheesesteaks, chicken tenders and Bull’s BBQ pork sandwiches (pictured), along with other snacks like cookies and brownies. The folks at Aramark, who run the ballpark’s concessions operations, tell me they created the menu in consultation with the National Foundation for Celiac Awareness (HQ’d in Ambler—hollerrrr) and Michael Savett of the Gluten Free Philly blog." From the picture in the article it looks great. Hopefully on my next trip to Philadelphia I'll be able to check it out! "New Gluten-Free Concessions Stand at Citizens Bank Park"
UPDATE: The winner is chosen - Kathy, you've won! I used this site to choose the winner and entered all of the contestants' names: http://primaryschoolict.com/random-name-selector/. Kathy, please e-mail me at glutenfreeways@gmail.com by July 7th @ 5pm PST so we can set up your prize pack delivery! If I don't hear from Kathy, I'll redraw for the prize pack. I recently was contacted by General Mills and asked to participate in a gluten free giveaway. Never one to turn down an opportunity to give my readers free schwag, I jumped at the opportunity. 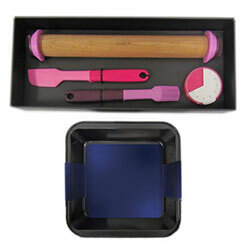 The giveaway is great and will provide the winner with some awesome baking tools, including a baking kit and a no-stick baking pan. The other day I used the baking kit to make some chocolate chip gluten free cookies using Betty Crocker's mix. There are tons of mixes, but I went with the chocolate chip cookie mix. They are super simple to make that even I can do it, just add an egg, some butter, and some vanilla extract and you're good to go. Using one of the utensils to mix up the cookies. I did have to bake the cookies for much longer than the 8-10 minutes recommended by the package... but I'm going to take the blame on that one since I'm a pretty unskilled baker. Regardless the cookies turned out great and are being quickly devoured by my roommates and I. Completed cookies - beautiful, no? Pretty cool, right? Entry is very simple; just leave a comment on this blog post by July 1, 2013 telling me what the first recipe you would make with the prize pack would be! Leave your name and a method of contact so I can reach out if you are selected or keep your eyes peeled for an update to this post when I notify the winner. Please note: The information and prize pack have been provided by General Mills through MyBlogSpark. UPDATE: A scant 2.5 years later and I can finally say I've been to Pica Pica Maize Kitchen. I was up in San Francisco for a conference this past weekend which, fortunately, coincided with the city's Pride weekend and the DOMA and Prop 8 decisions. It was a great time to be in the city. One night I headed over to Pica Pica Maize Kitchen to pick up some food. I went with the Vegetariana Cachapa with a side of Yuca Fries. Both were absolutely delicious, especially when paired with the various sauces Pica Pica serves up. The cachapa was kind of like a crepe filled with vegetables but with a thicker crepe. The restaurant only uses corn in its products and its 100% gluten free, so you can feel free to order the fried items on the menu. The restaurant location I went to is right by the 16th and Mission BART Stop so it's easily accessible from different places around the city. Pica Pica is definitely on my list of places to visit whenever I'm in San Francisco. "When the owner [of Pica Pica] got so many gf visitors she took the wheat out of the empanadas and now the whole is place is 100 percent GF... We are famous for our arepas (corn flour flatbread with various fillings), so while it's not your beloved Chipotle it is still a tasty GF spot and something different!" I haven't been here yet to check out the place myself -- have any of you readers? I would love to hear your thoughts. Hopefully I'll make it back up to San Francisco soon to check out Pica Pica for myself. 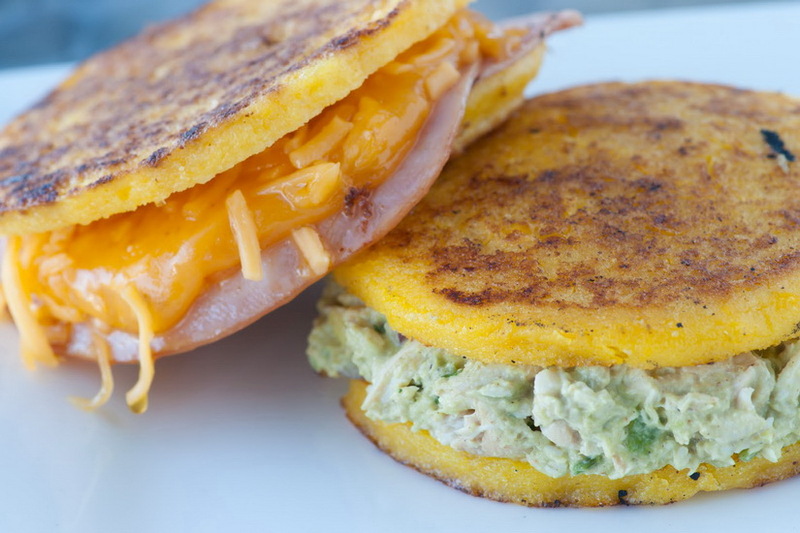 When I do check it out, I think I'll check out the Maize'wich with the La Vegetariana stuffing. Shoot, this website just made me hungry! According to this Bloomberg article, Dunkin' Donuts will be offering two gluten free items before the end of 2013: cinnamon-sugar donuts and blueberry muffins. Stan, Frankenthaler, the company's executive chief, said "[w]e recognize the importance of providing our guests with many options, including alternative choices for people with food and dietary restrictions." According to information from this Los Angeles Times article, the donut will contain 320 calories while the muffin will have 400 calories. Let's hope the chain's experiment with gluten free doesn't go the way of Starbucks' experiment with gluten free back in 2009. Another day, another Seattle post. The city is gluten free heaven; even when you aren't seeking gluten free items, they appears out of nowhere. My sister, her boyfriend, and I meandered around the Ballard Farmer's Market on a beautiful Sunday morning and they happened upon d:floured's setup filled with gluten free baked goods. Never one to say "no," despite my growing waistline, I picked up a brownie and a chocolate chip cookie upon the d:floured workers' recommendations. As seems to be the case for all of my Seattle gluten free eating I was happy with all of my choices. The bakery offers gluten free breads and muffins too, but I resigned myself to indulging in my sweet tooth for the entire weekend in Seattle. Tough life, right? d:floured doesn't have a retail shop but can be found at Farmer's Markets around Seattle. Check out their locations here. I'm going to keep this post short and sweet: Flying Apron is an awesome gluten free bakery in Seattle that you must check out if you're in the Seattle area. It's in the Fremont neighborhood (right around the corner from the Fremont Troll) with lots of little shops around it. Up front is a peanut butter chocolate chip cookie (with chunks of peanuts) and a chocolate chocolate cupcake. And yes, this was our breakfast. Perhaps "bakery" is a misnomer, as Flying Apron also serves up delicious items like the lasagna pictured below. I've rarely seen something more beautiful. Best of all, the food we ate from Flying Apron was all delicious. Despite only being in Seattle for 3.5 days, we made it a point to stop in twice. That second visit to the shop, our goodbye to Seattle, had me packing some muffins to bring along with me back to San Diego. If you're gluten free and in the Seattle area, Flying Apron is a must. My favorite part of the shop is that it is a fully functioning café, not just a bakery with a display case. You can bring your laptop, a book, or whatever and have a drink while snacking on gluten free food. Don't forget to check out the Fremont Troll too! I found out about Rise Bars during Earth Day at Balboa Park. Unfortunately Joe, Allie and I arrived to the Park at the tail end of the event and they didn't have any samples to try, but I added it to my list of gluten free products to try. I'm always on the lookout for a great bar to have available while traveling or on-the-go; gluten free eaters are so often limited while traveling to a healthy option. I was just recently traveling back and forth to Boston for my college reunion and was frustrated about the lack of options available in the Detroit airport. Complaining about airport food (and airports generally) is nothing new, but passing through airports and keeping a gluten free diet makes for even less options. Fortunately I had packed a few Rise Bars for my travels back and forth across the country. These bars are awesome! I love the simple ingredients list, often containing only a few items. In my personal favorite, the Almond Honey protein bar, there are just three ingredients: almonds, honey, and whey protein isolate. It's great to understand what I'm eating rather than have to try and decipher a laundry list of ingredients, half of which I can barely pronounce. The additional protein content of Rise Bars sets them apart from other fruit and nut bars (like Larabar). I'll definitely be adding Rise Bars to my mix of regular bars to pack when I travel or if I'm on a long hike. As my sister and I continued our eating tour of Seattle, we stumbled upon Cupcake Royale in the Capitol Hill district of the city. While neither of us were hungry, I made her follow me into the store to see if they had any gluten free options... and they did! We were warmly greeted by this beautiful sign and three options: chocolate chocolate cupcakes, salted caramel and chocolate cupcakes, and vanilla with chocolate. I knew we couldn't go wrong, but I ultimately opted for the chocolate with salted caramel. It's not a flavor I normally see offered and thought I would try something new. Best part: the gluten free cupcakes were less expensive than normal cupcakes! I can't remember a time when I've seen that; normally there is a mark up! Look at the way the light hits that cupcake... I mean, beautiful, right? I couldn't contain myself after taking the photo and dug in. It was absolutely deliciuos! The salted caramel frosting was terrific and perfectly complemented the chocolate cupcake. Fitting, since we were in the Capitol Hill (read: gay) neighborhood of Seattle. On our first full day in Seattle my sister and I did what any good tourist would do: we left the city. I suppose it's a bit odd to begin a trip to a new city by leaving, but the way our schedules worked out with our Seattle friends it made most sense to leave Seattle and do our "nature" day on that first day. We headed out to Rattlesnake Ledge via the I-90 floating bridge and had an absolute blast. The trailhead for the hike was about 35 minutes from our place in Ballard and the ride was beautiful; the lush green of Seattle is something that I definitely miss here in southern California. The hike itself was similarly lush, with moss-covered trees leading us to up top to a beautiful view. Photographs don't do it justice, but I figured I would include one anyway! After our hike we were famished. I had done a brief Google search for gluten free restaurants in Seattle and had happened upon Razzi's Pizzeria. The menu looked decent online so we thought we would give it a whirl. When we walked in we were easily seated without any wait; the place wasn't particularly busy. The waitress asked whether we had any eating restrictions, including gluten or any veganism. When she handed me the enormous gluten free menu I initially thought she was confused; how could a gluten free menu offer so much? My sister had a "regular" menu and we compared the two, noting that almost everything on the "regular" menu had a gluten free substitute, including the restaurant's pasta, pizzas, calzones, grinders, etc. I was like a kid in a candy shop... They also had a great gluten free beer selection, including my favorite, Estrella Damm Daura. They also had Bard's Tale from my hometown of Utica, NY! It was nice to see a little bit of home while my sister and I were thousands of miles away. My sister is awesome and agreed to eat a gluten free meal so I could try a variety of options. We ordered the garlic bread to begin, a W.O.W. calzone, a mushroom pizza. Very light on the carbs, obviously. The first words out of my mouth after biting into that delicious looking calzone: "This is the best thing to ever happen to me in my entire life." There was really nothing like having a calzone after nine years of Celiac Disease. It was delicious, despite my sister telling me it wasn't quite a "true" calzone. Regardless we devoured the calzone and the pizza we ordered and both were delicious. As for the garlic bread, it received the highest compliment any gluten free food can get: my sister said it tasted "real." I enjoyed the flavors of the calzone but I absolutely loved the pizza. All of the restaurant's breads are made in-house. When I asked our waitress why the restaurant began introducing gluten free food, she sent the owner, Amir, over to speak to us. He told us that many people in his family have gluten intolerance so he started experimenting with gluten free flours about five years ago. He said the toughest one to crack was the calzone, because the consistency needed to be different but similar to that of the pizza crust. We sincerely thanked him for making such awesome gluten free options available to people in Seattle and travelers like my sister and I. If you are gluten free and passing through Seattle, Razzi's needs to be on your list. This place is a must. UPDATE, 5/28/13: During my layover yesterday in LAX I happened upon an enormous outpost of Lemonade... and imagine my surprise when I saw the below sign! Awesome, right? I'm not yet sure whether such signs are posted at Lemonade's other locations but I will definitely investigate the next time I'm in Los Angeles. I should also update the post to reflect that Lemonade also has a location at my alma mater, USC, in the school's Tutor Campus Center. Hopefully my below post can be rescinded entirely once I visit the other locations. It's been months since I visited Lemonade and have been meaning to write this post. I'd been meaning to visit for a long time, having heard great things about it. My friend Sarah and I went to the location on Beverly Blvd. near our apartments on a study break during finals. When we arrived, I was really excited about the food that was on hand. Lemonade is cafeteria-style, so the menu options change daily. It's been too long since I've visited to remember what was on the menu for that day, but it looked great. Of course, as a gluten free eater, I had to inquire about the shop's gluten free options. When I asked the server behind the counter, the server had no idea what was in any of the food. "Really?" I asked. "No, we don't make any of it here." He responded. He was helpful enough and offered to call the manager at another location and ask if s/he knew the ingredients. He came back with a negative -- the manager didn't know what was in any of the food. Let me repeat that -- the manager couldn't tell the server what was in ANY of the food. This is a warning to any gluten free eaters to steer clear of Lemonade. They have no information about any of the ingredients in their food so it is not safe to eat there for Celiacs. How does a food establishment have NO idea about the ingredients in its food? During day two of our expedition in Seattle my sister and I ventured over to Paseo, the famous Cuban sandwich shop in Fremont. We were excited to check it out because of all of the advance buzz on the place; practically every person who gave me suggestions for Seattle mentioned Paseo as the place we had to visit. However, once we arrived, we saw that the menu wasn't particularly gluten free friendly. Rather than wait in line (which, at 4pm, was pretty long) we decided to walk the block up to Uneeda Burger where I figured I would be able to get a protein-style burger at the very least. Much to my surprise the restaurant offers gluten free buns, so we decided to pick up lunch from Uneeda Burger before heading over to Gasworks Park (Map) for a view of the city. I ordered the #8: crimini mushrooms, porcini & black truffle sea salt, shallots & gruyere cheese. It was delicious! As I said, we took the burgers to go for a view in Gasworks Park so while the below picture may not be great of the burger make sure to check out the beautiful view of the Seattle skyline in the background. The burger was a bit messy but the best burgers are, right? Uneeda Burger is a great spot with gluten free options for those of you living in (or visiting) Seattle and in need of a burger fix. I also highly recommend a visit to Gasworks Park; after visiting the park we decided not to do the space needle because we felt we had such a spectacular (and free!) view of the city. There were people flying kites, a few guys using the old gas equipment to do gymnastics, and lush grass. It was while we were in Gasworks Park that my sister and I turned to each other and said: "Seattle is winning me over." During our third full day in Seattle my sister and I made our way over to Melrose Market, on the edge of the city's Capitol Hill neighborhood. Seattle is pretty dense in its downtown area, so we walked the half mile over from Capitol Hill to check out Melrose Market. The Market was recommended to me by my friend Sarah, who is always in the know as to neat things to do. Melrose Market may be thought of as the trendy version of Pike Place Market. While you won't find fresh fish being tossed here, instead you'll find artisanal foods, kitchen products, and a beautiful (and not crowded) space. My sister and I had already ventured to Pike Place when we made our way to Melrose and we both firmly agreed that Melrose Market was definitely the more enjoyable experience (and did have some fresh meats and fish). It had a nice ambiance, great food options, and altogether felt like something a Seattle local would do. When I saw that Homegrown was offering gluten free sandwiches I couldn't resist, despite having had a dessert not long before visiting the Market. Best of all, Homegrown makes all of their gluten free bread in-house; mind you it is made on shared equipment, so for those of you who are super sensitive eat at your own risk. It's rare that I see a more beautiful sandwich. The photo above is the Portobello and Goat Cheese sandwich on the restaurant's gluten free bread. The flavors were awesome, the bread was delicious, and the people working at Homegrown were knowledgeable and friendly. I enjoyed it so much that I went back the next day to pick up a Seasonal Squash & Snap Pea Pesto sandwich for the plane ride home. If I'm ever back in Seattle, Homegrown is definitely on my list to visit. 2201 Queen Anne Ave N.
I heard rumors of an amazing new ice cream sandwich shop in PB and was shocked to hear that the shop was offering homemade gluten free cookie sandwiches. I'm not a tough sell: make me something sweet and you've found the key to my heart. When I learned about The Baked Bear I knew I had to visit as soon as possible. This past weekend I made it over to The Baked Bear and indulged in their gluten free ice cream 'wich. The shop is big and welcoming, with indoor seating and a location practically on the beach. They have lots of ice cream flavors which you can use to construct your ice cream sandwich. The gluten free option is a chocolate chip cookie which you can then fill with your ice cream of choice. For those of you bringing gluten eating friends they have a wide variety of gluten filled cookies from which you can choose; you can even mix and match two different types of cookies when building your perfect 'wich. I went for the mint chocolate chip even though the rocky road did look quite appealing. The cookie sandwich came out to $2.95 which, considering the often exorbitant prices of gluten free desserts, is definitely a bargain. Of course it wouldn't matter if the cookie sandwich tasted horrible but, fortunately, that is not the case at The Baked Bear. Instead, this cookie sandwich was unbelievably good. The cookies tasted fresh baked and practically melted into the ice cream as I greedily ate chowed down on the 'wich. I'll definitely be going back to the The Baked Bear, especially as summer begins in San Diego. Do you love it or od you love it? Pillsbury has broken into the gluten free market with three new gluten free mixes: cookie, pizza, and pie dough. 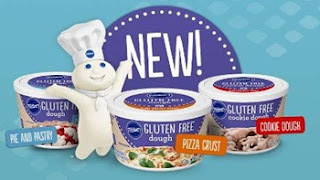 It isn’t a huge surprise that the Pillsbury brand has moved into the gluten free market, seeing as it is owned by General Mills, a company which has released myriad gluten free products recently including Chex, Betty Crocker mixes, and Bisquick, among others. Pillsbury’s products will be available nationwide this summer alongside other Pillsbury products in your local grocer. The full ingredient list of the new products is available here. I’m still waiting on Pillsbury to release the slice-and-bake cookies which dominated my childhood and of which I still have very fond memories. Hopefully some holiday season soon I’ll be able to go to the store and pick up a tube of gluten free Halloween cookies that I can slice and bake... those cookies were the best. I'll update the post once I've got my hands on the products to test them out. Last night I finally had my first (friend) date with Taylor, my favorite waitress at Snooze. When we first met I was blushing like a 13 year old school girl and fawning over her... fortunately she didn't think I was some weird creepy guy and giggled along with my friends about my schoolboy crush on her. When I went back to the restaurant a few weeks later she again was my waitress. When she remembered me I knew we were fated to be friends, despite her calling me out for not ringing her up since my previous visit to Snooze (she hadn't given me her number!). Anyway, after weeks of texting and planning we finally met up at URBN in North Park. The restaurant was on my list of places to visit since moving here courtesy of my good friend Lauren, but I hadn't noticed that it offered gluten free pizza. When I ran into Taylor at the Hillcrest Farmer's Market she suggested URBN because of these gluten free offerings that were previously unknown to me. Two suggestions are always better than one so we set our date at URBN. We also bonded over the amazing Olive Oil Organic Cafe stand at the Hillcrest Farmer's Market which, if you haven't been to and live in the San Diego area, you must visit as soon as possible. I was a bit late but warmly welcome by Taylor replete with champagne glass in hand, and there is truly no better way to start a date than with some bubbly right? I had a sip of the champagne just to wet my whistle and decided to try the Improved Pigeon Fiesta, one of the restaurant's signature cocktails made with tequila and a host of other ingredients. It was delicious and a good way to start the night after a tiring day. As we caught up and reviewed the menu I put the ball in her court as for ordering. She kindly requested my opinion on the final decisions before we ordered two small gluten free pizzas: the Mashed Potato (to which we added bacon and basil) and the Chicken + Spinach. The Mashed Potato pizza is what you would imagine: pizza crust topped with mashed potatoes. Without the added flavor of the bacon and basil I'm not sure the mashed potato would have had enough flavor. I'd definitely recommend adding your flavor of choice, otherwise I imagine this pizza would be a little bland. The Chicken + Spinach pizza was great, with large chunks of chicken and lots of spinach as you can see in the photo above. The prices were reasonably, especially given that we both had about 6 slices to take home. I'll definitely go back to URBN and sample more of the pizzas. The atmosphere is great, the restaurant is cavernous, the drinks were delicious, and the service was helpful. All in all, a successful first date with Taylor... I'm hoping she says yes when I asked her for the second! Recently I was invited to visit Toast Enoteca and Cucina to sample the restaurant's gluten free menu. After a bit of back-and-forth planning with the PR representative we settled on a date which worked for the restaurant. I had originally chosen a night when the Padres were playing and was warned that Padres games could create a major parking dilemma so I decided to steer for a Padres-free night. Fortunately my friend Katie and I achieved that, so much so that we were the only two people in the restaurant for our entire meal! Katie has lived in San Diego for the majority of her life (but I won't say born and raised since I know she has some east coast time in her record) and she filled me in on San Diego's relatively new downtown renaissance. Having come most recently from New York I compared San Diego's downtown similar to New York's Financial District or Los Angeles' downtown; busy during the day, but pretty desolate at night. Regardless of the restaurant's neighborhood the restaurant itself was friendly and welcoming. I was a bit late so I joined Katie at our table and noticed she had an iPad. I joked that she brought her own in case she got bored when it was the restaurant's method of displaying its wine menu. I was very perplexed; I hadn't seen a menu presented on an iPad, particularly in a restaurant with the upscale feel of Toast Enoteca and Cucina. After we placed our wine order (Cabernet Sauvignon for me) I asked the waitress about the rationale behind the iPad and she explained that the restaurant introduces new bottles of wine so frequently it made more sense to have them displayed on an iPad rather than having to often reprint paper menus. The restaurant also has a unique way of serving its wine; while you can order the normal full glass of wine, you can also purchase a card and place a certain amount of money on it to have smaller tastes of various wines. Each wine has a different price per taste. I've seen bars like this before (Ugo in Culver City, for example) but never indulged myself in the experience. Katie and I sat it out this time, but perhaps next time I go to a similar restaurant or bar I'll go wild and taste a bunch of wines. Moving on to the real reason you're here: the gluten free options. The waitress was helpful in explaining the gluten free options and the menu in some cases speaks for itself, with markings alongside options that can be made gluten free (and/or vegetarian). I ordered gluten free spaghetti with diavola sauce, Katie ordered a gluten free Verde Bianco e Rosso pizza and we decided to split an order of roasted cauliflower with cheese in a tomato sauce (which doesn't appear on the restaurant's online menu here). All of the restaurant's gluten free options like the pizza crust and spaghetti are made in house; later on in our meal the manager came over and told us that the restaurant often changes up its gluten free pasta offering, including ravioli, fettuccine, and ravioli. While we sipped our wine and caught up the cauliflower was delivered to our table. It was dripping in a thin tomato broth and delicately covered with melted cheese. In a word: delicious. It wasn't too heavy nor too light as the beginning of our meal. Our entrées were similarly excellent. The diavola sauce had a great kick to it and the pasta had a texture that closely paralleled the taste of real pasta, not a simple task. The pizza was similarly great and definitely a great item to share. All in all, Toast was a definite success: the service was great, the food was delicious, and the wine flows freely from the various wine taps. While it may not be in the most bumpin' area of town I would definitely recommend it to anybody looking for gluten free Italian options. This morning I visited The Mission, a brunch hot spot in Mission Beach which normally comes with an hour plus wait. Fortunately Alessandro and I were a party of two so we only had a 30 minute wait. During our wait we walked over to Better Buzz Coffee to pick him up some coffee. He's still astounded by the fact that I've never had coffee... is that strange that I haven't had coffee? I was going to experiment with it today but he didn't want to be liable for the possible after effects. Anyway, the place was buzzing with activity. Alessandro mentioned that it is normally full of hungover USD students but that wasn't this morning's crowd; instead it was full of pregnant women. Lots of pregnant women. There was so much estrogen in the air I felt like I was in a sorority house. It was a bit odd, since I had been expecting a younger scene but hey, pregnant women have to eat too, right? After picking up some coffee (and summer fruit passion tea for me) we had . The restaurant has a pretty big gluten free menu and the waitress was helpful with choosing my breakfast dish. Ultimately I went with the Plata Verde con Huevos as it most closely approximated my normal brunch order of huevos rancheros. They were delicious, definitely different than huevos rancheros with the flavor of the sweet corn tamales and roasted tomatillo sauce. I enjoyed the food but was a little thrown off by the ambiance. All in all, I'd visit again, particularly because of its awesome location steps away from the beach. The restaurant also has locations in North Park and the East Village which may bring in a different clientele. Drop what you're doing and run, do not walk, to Olive Oil Organic Cafe on SDSU's campus right now. Well, I should amend that to read "drive within the speed limit" since we are in San Diego... but I think you understand my point. Nearly six months after I moved into Hillcrest I finally went to the neighborhood's weekly farmer's market. The market is every Sunday from 9 a.m. until 2 p.m. and I've had very little excuse for not going before. After going to the La Jolla Farmer's Market with my parental units during their visit I decided I had to make it a biweekly visit... or at least go more often than I have been. Having grown up in the frigid tundra of upstate New York I'm not used to having such great produce and weather year round but I'm finally committed to making it a habit. While meandering through the Hillcrest Farmer's Market I happened upon Olive Oil Organic Cafe. The display prominently advertised gluten free cookies, cupcakes, etc. I figured there would be one or two gluten free options so you can imagine my shock when every single option was gluten free. And they were giving out plentiful samples so I had a great time checking out lots of different treats. The treats were all delicious and they had a huge variety on display at the farmer's market. I know the Cafe is located on SDSU's campus but I'm not quite sure where; check the cafe's website for more details. This is definitely my new go to place when I'm in need of a gluten free dessert in San Diego. The woman working at the booth also told me that all of their sandwiches can also be made gluten free. I'll check out the cafe's location on SDSU's campus and report back. Last year I went to a great baseball game at New York's Citifield Stadium and really enjoyed it. I didn't grow up being a sports fan but there is something about a summer evening at the ball park. Of course it never hurts when the park has great gluten free options, even if the home team didn't win. Check out my post on eating gluten free at Citifield here. A few weeks ago I received an e-mail from Travelzoo informing me of cheap tickets to upcoming baseball games between the San Diego Padres and the Milwaukee Brewers. Since my roommate Joe is from Milwaukee, I knew we had to make a night of it. It didn't take much to persuade him to go, and ultimately we amassed a group that included his girlfriend Allie, his brother (who is not quite as diehard of a Brewers fan as Joe is), his brother's wife, and my friend Valerie. We had a drink at the Blind Burro before heading into the park. It was a little strange to be back in a city where the park is right in the center of the city; in New York that certainly isn't the case and I was very infrequently near Dodger Stadium in Los Angeles. It hasn't been since I left Boston in 2008 that it has been so easy to get to a baseball stadium... perhaps I'll become a baseball aficionado while living here in SD. San Diego even has a leg up on Boston, as the tickets were inexpensive and we had great seats right behind third base about ten rows in from the field. With a Redbridge beer in hand I took my seat and sat down for an enjoyable night of baseball. Anyway, Around halftime we got hungry so we decided to head to the dining options in the park. Joe had an app on his iPhone which pointed him in the direction of the gluten free cart so we all headed over there as a group. Valerie and I split off when the stand was proving difficult to find and asked for some help from a Park employee who pointed us in the right direction. The gluten free stand is by the Mercado, which you walk through to get to the stand. The above picture is a bit misleading, as the gluten free options weren't available in that refrigerator but instead at the grill that you can barely see in the right of the picture. I'd hate to see anybody confused and take something from inside that refrigerator thinking it was gluten free as they were offering up sandwiches, paninis, and wraps which I can almost certainly say were not gluten free. Petco Park should definitely make it clear that the items in the fridge are not safe for gluten free eaters. The grill offered up typical baseball food: hot dogs and hamburgers, obviously served on gluten free buns. While Joe had mentioned gluten free pretzels being available, none were in sight. It was great to have gluten free options at Petco Park, particularly the Redbridge beer. I spotted a Woodchuck Hard Cider in a refrigerator too and I believe those are all gluten free... best to check before imbibing, of course. Hopefully Petco Park will clear up its signage so no gluten free eater makes the mistake of pulling something from the fridge. And yes, I know there is no such thing as halftime in baseball. That line above was a joke. I haven't been yet so this isn't a full review, but did you know Cucina Urbana offers gluten free pasta? My roommate Joe has been recommending this place since I moved in with him in November but I still haven't made it the 10 blocks down the street to eat there. My parents also recently visited the restaurant and gave it a positive review and let me know about the restaurant's myriad gluten free options. With all of this buzz, I have to check it out soon and report back. You can check out the menu here. What about you readers - have any of you been? How are the gluten free offerings? For my parents' final dinner in San Diego we visited Whisk n Ladle. My friend Lauren recommended the restaurant to me before I even moved to the city and now, almost six months into living here, I finally got around to visiting. It had been a long week at the office and I was definitely in need of a drink so I ordered a great tequila-based signature cocktail. The name is unfortunately eluding me right now, but suffice it to say it was definitely a nice cap on the end of a busy and hectic week. I dove right into the menu after ordering my drink, knowing that I'd likely be ordering a full meal since it was my last name to take advantage of my parents' hospitality (and credit card). I asked the waitress to guide me through some of the gluten free options and she said that most everything could be altered to be gluten free, with some dishes requiring more alterations than others. I had looked at the menu during work so I had a pretty good idea of what I wanted to order and was glad to hear my hunger wouldn't be stifled by gluten issues. I began with the Whisknladle Caesar without croutons and it was awesome. It was a pretty plain salad, with long shears of romaine lettuce sprinkled with parmesan cheese. While I know it wasn't the most exciting appetizer on the menu it was executed perfectly; I've had enough experiences to know that while a Caesar salad is a common menu item it isn't always prepared as well as Whisknladle's. For my entrée I went with the scallops prepared "a la plancha." I'm not normally a huge fan of scallops which isn't to say I don't like them, they just aren't normally high on my list of entrées to order. That being said, I loved the scallops at Whisknladle. Needless to say I cut out the fried bread from the order; I also cut out the olives since I'm not a fan. Regardless the order was still delicious, with the scallops coming buried beneath a pile of crows pass spinach. I wasn't familiar with that type of spinach but it was very similar to an arugula in its size and texture. The pine nuts added a nice touch to the dish, but the focus was on the five scallops, all of which were grilled to perfection. I ended the meal with the chocolate mousse, because who am I to say no to a full meal when I'm with the parentals? It was delicious, a little thicker than I imagined it based on my waitress' description but great nonetheless. 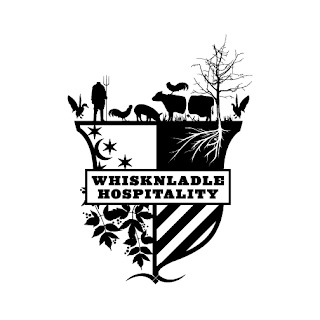 I'll definitely visit Whisknladle again. 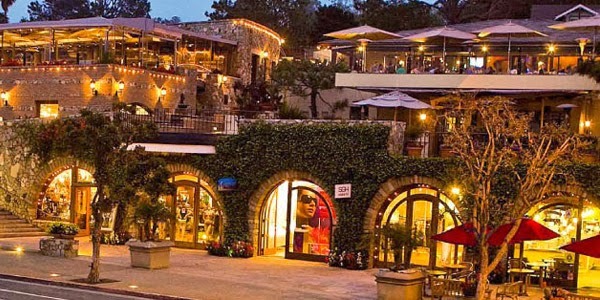 Our waitress was super helpful, the food was delicious, the ambiance was great, and the location near the La Jolla Cove makes for some nice walking before and after dinner. After months of living in Banker's Hill and receiving recommendations from my roommates Joe and Adam I finally went to Banker's Hill Bar and Restaurant. My friend Travis was in San Diego visiting from L.A. visiting for work and we wanted to go somewhere that I hadn't yet been. Since Banker's Hill Bar and Restaurant is practically around the corner from my apartment (in New York-speak, at least) we decided to eat there. I was very surprised upon walking in by the decor. "Banker's Hill" as a neighborhood sounds stuffy and pretentious to me and for that reason I expected the restaurant to have a similar stodgy feeling. Nothing could be further from the truth. It was around 6:45pm when we arrived and the restaurant was buzzing with activity; we were lucky to get a seat at the community table! We ordered a few dishes to share, beginning with the Chili Marinated Shrimp Skewers and Local Strawberry Salad. The shrimp skewers were well spiced and served alongside corn tortilla chips and guacamole. The strawberry salad was divine; sitting on a corner of the plate was a delicious cylinder of goat cheese which we wasted no time in dipping our forks into. For our entrées we ordered the Snapper. We both agreed that the corn tamale was perfectly prepared and that the braised tomatillo added great flavor to the dish. 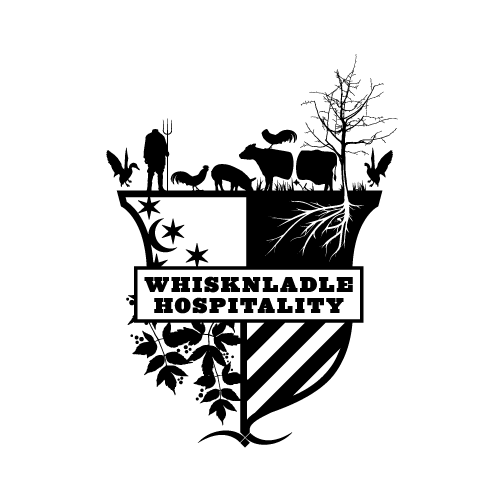 The service was great, the ambiance was perfect, and, most importantly, the food was delicious. Just as importantly, of course, was the server's knowledge about which dishes were and were not gluten free (or possibly made to be gluten free). I'll definitely be back. I was recently at my local Whole Foods and happened upon Good 'n Natural bars. I'm always interested in trying new bars for my on-the-go needs so I picked up a Chocolate bar. Based on the description on its packaging it seemed like a Larabar, one of my favorite on-the-go snacks. I'm sure many other gluten free eaters share my frustration with food options when traveling. While the gluten free market has exploded it is still often difficult to find a healthy gluten free option while on the go, especially in airports. I know that airports generally may not have the healthiest food, but shouldn't there be some options at large airports like JFK and LAX? It stayed in my bag for about a week or two as I didn't end up needing it but yesterday, during a particularly hungry afternoon at work, I snacked on the bar. It's definitely going to be a new addition to my diet; it's filling, it's tasty, and it isn't expensive. That last part is key, as some protein bars can cost upwards of $3 per bar. When I priced out the bars online I saw they cost about $1.29 per bar, which is the same cost of a Larabar from my local Trader Joe's. I found the Good 'n Natural to be more filling than a Larabar which is key when choosing a bar to snack on at work. If you're a fan of Larabar or Kind bars I strongly suggest you check out Good 'n Natural. Project Pie recently opened a location near my place in Hillcrest. I tweeted the restaurant about its gluten free options and was told that they do have gluten free crust but that it is not prepared in a separate gluten free facility. The employees at my local Project Pie were unbelievably friendly. I went to the restaurant with Joe and Allie and when we walked in we were warmly greeted by the employees and guided through the ordering process. The fast-casual restaurant has tons of options from which to choose; you can select one of Project Pie's designs or create your own. The best part about Project Pie definitely has to be that the restaurant's pizzas are all flat fee regardless of how many toppings you add. So many other pizza places will charge you an extra dollar or two if you try to go wild with toppings but you won't find that at Project Pie. I placed an order for a #7: mozzarella, parmesan, garlic, fresh chopped basil, and sliced tomatoes. I wasn't paying too much attention to them as they made the pizzas I busied myself with an iPad mini set up in the shop for your foursquare and twitter needs (smart marketing!). When I went back to the counter to pick up my order an employee told me that the gluten free pizza had fallen apart so they were making me a new one. I didn't mind waiting the extra two or three minutes and was surprised when they gave me the perfectly cooked pizza along with the malformed pizza to take home. It's that kind of customer service that sets Project Pie apart. In terms of San Diego pizza I'd rank this way above Chocolat but a bit below Local Habit; I think the crust at Project Pie was a bit spongier than at Local Habit and the pizza didn't have the same strong flavors of Local Habit. That being said, for $7.50 you can't go wrong with this pizza especially as it is eminently customizable. As a fast casual restaurant, Project Pie definitely meets the key requirements: fast service, good quality, and inexpensive pricing. This blog is based on eating Gluten Free in San Diego, including restaurants, bakeries, recipes, and any new products I've found in San Diego or anywhere in my travels. Enjoy!